It's edition five of a new content feature I cobble together every couple of weeks called Eight from 80 Feet. Comprised of a blend of anecdotes, recaps, statistics, analysis and maybe an opinion or prediction mixed in too, it's a round-up of eight random thoughts on the current goings-on with the Calgary Flames. When the Flames made Sean Monahan the sixth overall pick in 2013, longtime Flames fans had some trepidation and who can blame them. Scarred by how the club's two previous sixth overall picks -- Rico Fata (1998) and Daniel Tkaczuk (1997) -- turned out, the angst was to be expected. Well, 19 months later, safe to say nobody is worried anymore. Monahan has already racked up 37 career goals, six more than Fata and Tkaczuk amassed in their entire NHL careers. Also, if you look at how those top six draft picks in 2013 have played this season as I did recently, it could be argued Monahan is having the best year of any of them. I would not be surprised if a decade from now, it turns out Calgary got a steal in getting Monahan at No. 6 like they did. The impressive start to the young man's career got me thinking, where does Monahan rank in goals by a 20-year-old in Flames team history and where could he end up? If he stays healthy, he has roughly 40 games to go between this season and next before he turns 21 on October 12. What I learned is he won't catch Dan Quinn for top spot but he will definitely finish in the top three and has a very chance at making it into second spot. Calgary reduced its roster to 20 players over the all-star break by shipping Joni Ortio, Markus Granlund and Tyler Wotherspoon back to Adirondack. Proving that it was not merely a paper transaction, all three played in the baby Flames 4-1 win on Saturday night with Ortio making 35 saves and Granlund contributing a goal and an assist. When it was announced Ortio would not be participating in the AHL all-star game, the popular theory was it was because that game was on Monday night and surely he would already be back in Calgary by then and practicing with the Flames that afternoon. Perhaps the AHL -- so they could identify a replacement goaltender if needed, prepare all-star weekend collateral, etc., simply needed to know Ortio's status sooner than the Flames were prepared to decide what their plans were for the 23-year-old Finn. One period of action in an AHL all-star game in the grand scheme would not be significant enough of a reason to force Flames management into making a hasty decision so quite possibly they erred on the side of caution and pulled him out. Besides, with Hiller coming off a solid relief appearance (stopped 14 of 15 shots) against Anaheim and presumably in line to start on Tuesday against Buffalo, and with Karri Ramo healthy, I'd be surprised if Ortio comes back to give the team three goalies again. He's proven he can hold his own in the NHL but a return trip may have to wait for potentially a trade to happen with either Hiller or Ramo -- or, it may not even be until next season. Why would the Flames fly Tyler Wotherspoon across the country for two ice times and and then not play him? For one, with Ladislav Smid placed on injured reserve on January 20, it was insurance in case a defenceman got hurt. Although Corey Potter could have just as easily been the call-up if they only needed a spectator. My thinking is they picked Wotherspoon in order to get him settled into the team with the intention of playing the 21-year-old prospect this week. If they had brought him up after the NHL all-star break only, that leaves him with just one practice and one game day skate. This way, they doubled the ice times and it will result in Wotherspoon being a little more ready if he should jump into the third pairing as soon as Tuesday -- and if Smid remains sidelined. We'll know more about Smid today but based on reports on how he may have gotten injured, there could be a concussion scare and make it possible Wotherspoon will be in town for a while and unlike when Potter joined the team at Christmas, Calgary won't be bringing up their top blue-line prospect to sit him in the press box. When Curtis Glencross was hurt 11 days ago, the lower body injury was deemed not very serious with the speculation being that he would not miss much time. The thinking prior to the break was that he would be ready to go after it so again, we'll find out today if he's good to be activated from the IR. Update: It was just announced that along with Wotherspoon, Sven Baertschi and David Wolf have been recalled from Adirondack. This would be an indication that Glencross is not yet ready to go. Both players recalled are good choices. Wolf for the reasons outlined below (read on) and Baertschi because he went down after he left Calgary in early December and played well, going 5-9-14 and plus-8 (40 shots) in 18 games. Passed over was Michael Ferland, which indicates he hasn't done enough. While I thought he'd be the first guy brought back up, to the credit of the Flames, they're walking the talk when it comes to 'always earned, never given'. Ferland was sent down around the same time as Baertschi and has gone 1-3-4 and minus-3 (42 shots) in 16 games since he returned to Glens Falls. Their shot totals would suggest Ferland has been OK and has maybe been unlucky but from the games I've seen, he hasn't been as noticeable physically as he was in October. I still believe Drew Shore will be up in the near future for reasons you're about to read, but I can understand the club taking the approach of making him earn it, just like Baertschi and Wolf. Consistency in how that motto is applied is the key to that and the overall team culture being authentic and successful. If they do stick with two goalies, that leaves one more roster spot and I wonder if they don't bring back Drew Shore, who I suspect was probably here for good his first time if not for Ortio getting hot and forcing the Flames to retain his waiver-eligible status and eventually return him to the AHL to create a roster spot for Ramo when he was ruled healthy. 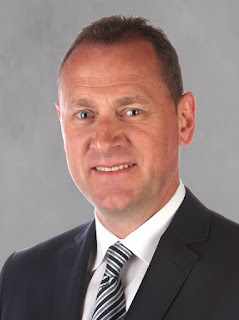 General Manager Brad Treliving really likes him. That's why he went after him, personally scouted him, and said after the trade they think he's a player that could be in the NHL right now. From everything they liked about him, nothing in his 12:26 of ice time in his debut would have changed their mind as he was perfectly fine in his first game in a Calgary uniform. If the plan all along with his first recall was to just give him a one game audition, why would they have unnecessarily rushed him into that one appearance after just one practice and one game-day skate? Don't forget he also skated at the next practice and next game-day skate, taking line rushes like he was about to play a second game, only to be curiously pulled out last minute. It was as if the brass did some roster projections and realized the looming numbers predicament they were going to face if Ortio remained hot and stuck around. They gave him jersey No. 22. Josh Jooris, who has essentially been with the club all season and has been told he will be here the rest of the year is No. 86. Again, just my gut feeling, but I don't see them issuing Shore that so-called traditional number unless they had already committed in their own minds to having him with Calgary the rest of the season -- or most of the rest of the season. Shore gives the team more positional versatility than Granlund. He can play centre if the club wants to sit out Jooris for a game or slide him to the wing. But he can also play right wing, which opens up many other possibilities for how he could slot into the line-up. Also, they might be keen to try a right-handed shooter on the struggling power play (more on this below). With Shore currently at the AHL all-star festivities, perhaps the Flames stick to a 22-man roster for now or they bring up someone else for a while, but I would be surprised if we don't see Shore back in the NHL sooner than later. Since moving to Calgary, the only Flames player to ever win the Lady Byng Memorial Trophy was Joe Mullen, who won it twice in a three-year span -- first in 1986-87 and then again in 1988-89. Those two seasons, Mullen had 14 and 16 penalty minutes respectively. Named in honour of avid hockey fan Marie Evelyn Moreton (Lady Byng), wife of Viscount Byng of Vimy, who was a Vimy Ridge war hero and later became the Governor General of Canada, the Lady Byng trophy donated to the NHL in 1925 is awarded to the player "adjudged to have exhibited the best type of sportsmanship and gentlemanly conduct combined with a high standard of playing ability". It's pretty much assured that Johnny Gaudreau will at least be in the conversation for this one. I did some digging and if you go back to Gaudreau's last year at Boston College, he has only taken one minor penalty in his last 80 games (25 college games, 8 World Championship games, 47 NHL games). That is a staggering statistic. Considering the size disparity he continually faces and how often he steals pucks, that run of innocence is mighty impressive. Interestingly, his one penalty in that span -- last May with the U.S. in a World Championships game against the Czech Republic, he didn't even put his team down a man as his hooking penalty was part of coincidental minors. In Flames team history, only twice has a player played 60-or-more games and had single digit penalty minutes. One, interestingly enough, was his teammate Sean Monahan last season (8 PIM in 75 gm). The other was Tommy Albelin in 1998-99 (8 PIM in 60 gm). Note that with only two minor penalties so far this season, Monahan is on pace to finish in single digit penalty minutes once again. Monahan and Gaudreau certainly aren't going to be nicknamed the 'Brat Pack'. Included in the above list was some pretty impressive offensive seasons too. Most prolific was Kent Nilsson in 1982-83 when he was 46-58-104 to finish ninth in the NHL scoring race. However, Mike Bossy (60-58-118, 20 PIM) won the Lady Byng that year. The Flames power play is broken. Calgary can consider themselves very fortunate to have won four of five games on that difficult Pacific Divison road trip given they took a bagel on the man advantage all five games, finishing the trip 0-for-14. Go all the way back to December 12 and the Flames are four for their last 57 during that 17-game span. That's a meager 7.0 percent and not very good. Those 57 man advantages add up to exactly 109 minutes. That's nearly five-and-a-half periods of being on the power play with only four goals to show for it. Gaudreau has been on the ice for over half of the power play time -- 57:08, and as hard as it is to believe, he hasn't been on the ice for a single goal. The defence pairing of Mark Giordano and TJ Brodie were on the ice for just one of the four goals. Leading scorer Jiri Hudler has also only been on the ice for one of the four goals. Going into the December 12 game with Pittsburgh, the Flames ranked 8th in the NHL on the power play. Over these last six weeks, they've fallen 15 spots and are now ranked 23rd. Something Calgary may want to address is their lack of a right-handed shooting forward on the power play, which can limit their ability for one-timers from one side of the ice. Jooris and David Jones are the team's only right-handed shooting forwards right now. Maybe Shore is someone they want to try on the power play. Let's not forget he has been an offensive player throughout his career and has 31 points (9 goals, 22 assists) in 37 AHL games this season. One way or another, Calgary needs to get this issue resolved as special teams will either win them or cost them games in the next couple months and if they hope to end their five-year playoff drought, they'll need it to be much better than it's been. Here's a quick look at two players that are Flames property, who have been heating it up lately. Playing goal for Charlottetown (QMJHL), 2014 second round pick Mason McDonald has reeled off three straight wins and has stopped 82 of 85 shots over that span for a .965 save percentage. Enjoying his best month of the season in January, McDonald has elevated his season save percentage to .905, which ranks him third in the league. David Wolf, the rugged 6-foot-2 winger from Duesseldorf, Germany, has caught fire with Adirondack (AHL). The 25-year-old, who was signed as a free agent last summer, took a while to adjust to his first taste of pro hockey in North America, only scoring six times in his first 31 games. However, he's doubled his goal output in the last four games and the Arnold Schwarzenegger sound-a-like is suddenly tied with Emile Poirier and Ben Hanowski for the team lead with 12 goals. To go with his current four-game goals streak, Wolf also has a six-game points streak (7 goals, 2 assists) with 21 shots over that span. In terms of his arrival date, McDonald remains a long way off. Expect him to play at least one more year of junior and maybe two and then spend plenty of time in the AHL. Wolf, on the other hand, is an intriguing situation. Only signed to a one-year deal, Calgary may be curious to take a closer look at what they have and try him at the NHL level at some point in the second half. Considering his play recently, maybe that chance will come sooner rather than later. He would certainly bring some physicality and size to the line-up. While Calgary's record this season and unexpected playoff push gives Flames fans reason for optimism that the rebuild will be a short one, a bigger factor is the play of two of its brightest prospects -- Gaudreau and Monahan. In a fun undertaking earlier in the season, I went back over the history of the Flames and looked back at the young forward cores that we've watched. For this exercise, I added in Sam Bennett and I looked specifically at how this trio stacks up against young trios from past years. That feature can be read here. Meanwhile, Gaudreau and Monahan -- currently on a four-game goal streak, continue to make an impact as two of the best young stars in the NHL today. The announcement over the weekend of the 2016 World Cup and the participation of a North American U23 team is also interesting as Monahan and Gaudreau would both be eligible for that team and would surely be locks. Heck, Bennett could be in the mix also if he plays in the NHL next year and has a good rookie season. Exactly one year ago today on January 26, 2014, Calgary sat 28th overall and were 18 points out of a playoff spot in the Western Conference. Today, the Flames are in a playoff spot. It's been a remarkable turnaround. Looking back at where this club was a year ago, here are some comparisons. The Flames are 12 rungs higher in the overall standings. The three teams that have made a bigger jump are the New York Islanders (22 spots), Nashville (20) and Winnipeg (15). In five less games, Calgary is 10 points better this season. That increase in points is third to the New York Islanders (14 points) and Nashville (11). In five less games, the Flames have scored 17 more goals. That jump in goals is tops in the NHL. Second is Detroit (up 8 goals) and third is Tampa Bay and Nashville (up 6 goals). Calgary has seen the third biggest improvement in goals against (down 37 goals against). That's the third biggest improvement behind Nashville (down 48) and the New York Islanders (down 43). The Flames are tied with the Predators for the biggest improvement in goals for/against differential. Calgary and Nashville are plus 54. Third is the New York Islanders (plus 43) and fourth, a long way back, is the New York Rangers (plus 29). The next dozen games present an interesting challenge for the Flames. Ten of them are home dates meaning over the next month, Calgary's only trip out of town is a two-game jaunt back to California for dates in San Jose and Los Angeles (but not Anaheim -- insert euphoric applause here). The homestretch begins with three games to wrap up January against teams below Calgary in the standings. Sandwiched in-between dates with league cellar dwellers Buffalo and Edmonton, is a meeting with Minnesota, which is scuffling along at 2-6-2 in their last 10. To put themselves in a good spot for the final quarter of the season, which begins late February with a grueling seven-game Eastern road trip while the Saddledome plays host to The Brier, the Flames need to pile up a bunch of wins right now while they're at home, chillin' at the Dome. To put themselves in a good spot to make the post-season, I'd suggest eight wins in these next dozen games will be a must. But it's not going to be easy either because after this relaxed month of January in which the team plays only 11 games, they'll play 12 in February and then 15 in a very hectic March that includes three sets of back-to-backs. Calgary has 35 games left. Of those games, 18 are against teams below them in the standings. This is overly-simplistic math but if they beat the teams below them in regulation but lose to the teams above them, they'll finish the season with 89 points. That won't get it done. Thus, Calgary has to not only take care of business by beating the teams under them, they have to also mix in a handful of upsets along the way also (or at least get a point with some overtime losses). Every time the Flames are knocked off by a team below them in the standings, they'll need to make that up by beating a team ahead of them. Being in a playoff spot at American Thanksgiving was nice but being there at the all-star break with the season that much further along is far more meaningful. The return of spring hockey in Calgary is still far from a certainty but while it's lot to ask, it's not an impossible task. However, the wins must start piling up this week. Sean Monahan: Mr. Clutch - Sean Monahan's penchant to score the big goal is uncanny. At 20 years old, he leads the NHL in so-called 'clutch' goals and as you'll see also, he's quickly climbing up similar lists in Flames team history. Eight From 80 Feet: The New Backlund is Back, Johnny vs. Theo and More - All sorts of 'Ah' moments and conversation starters in my lastest eight Flames thoughts. In addition to the Fleury-Gaudreau comparison is a look at Jiri Hudler's lethal scoring against the Pacific Division. Getting to Know Drew Shore: A Few Different Perspectives - The newest addition to the Flames organization is Drew Shore and I caught up with a couple of his former teammates to talk about who he is as a player and as a person. Calgary GM Brad Treliving also chimes in. Rewarded for his Perseverance: Story of Deryk Engelland's Season and Career - With his $3 million salary, Deryk Engelland is an easy player for fans to criticize. But if you know his story and his long and improbable path to the NHL, he becomes an easy player to root for. My Ten Favourite Calgary Flames Stories of 2014 - Short capsules and links to the 10 stories I most enjoyed writing and you most enjoyed reading during the year 2014. If you missed any of these pieces, which are mostly still-relevant today, what are you waiting for? Interviewing Sean Monahan can be excruciating. While he's always willing -- and sure, I suppose there's something to be said about that, his monotone responses are mostly blah clichés and rarely do you see any emotion from him. More importantly for this hockey club and for fans of the Calgary Flames, it's those same qualities -- always even-keel, never fazed, calm to a point it's almost creepy, that is helping Monahan cement a reputation across the NHL as a clutch player. He's the guy you want to have the puck, the guy you know is going to deliver that important goal when your team needs it most. That was the case again last night in one of the Flames biggest wins of the season. Mark Giordano's shot deflects off a player in front to Monahan at the side of the net, where he methodically and coolly buries it as routinely as he would fire a puck into an empty net while shooting around during practice. Overtime, practice -- that heart rate just doesn't seem to climb ever. Saturday night was Monahan's fourth career overtime goal. In terms of regular season OT winners, Elias Sports confirms that leaves him only two out of the Flames all-time lead. Two! The kid just turned 20 less than four months ago. It's not like we're dealing with a limited sampling of players either. Overtime came into being in the NHL over 30 years ago, way back in 1983-84. So while the likes of Kent Nilsson and Lanny McDonald only had OT for a portion of their career, it was always a part of the game for Flames greats Joe Nieuwendyk, Joe Mullen, Hakan Loob, Doug Gilmour, Gary Roberts, Al MacInnis -- and Monahan has passed all those guys already. Going back to Monahan's rookie season, he is tied for the most OT goals in the NHL. In another gem unearthed from Elias, Monahan is the youngest player in NHL history to reach four OT goals in his career. Wow. Just wow. Let's also not forget that when the game isn't solved in overtime, Monahan has also shown that he's the man when it comes to shootouts. He's proved this several times already. Nearly 20,000 fans packed in an arena, everyone focused on him and him alone. No problem. He just seems to thrive when the puck is on his stick and the game is on the line. In his short career, Monahan is the leader in shootout proficiency among all active NHL players. If the NHL was to track clutch goals and defined it as OT goals plus game-deciding shootout goals, considering Monahan's ranking on each of those two respective lists as already documented -- tied for first and second, you're correct if you guessed that over this year and last, he sits alone at No. 1 in the NHL. That's some pretty good company Monahan is hanging out with and all of them, obviously, are older. In fact, of the 15 names on the list above, the only two players younger than age 24 are Ryan Johansen (22) and Vladimir Tarasenko (23). January 20, 2015 Update - In addition to Monahan's prowess in extra time, he's also had a penchant for scoring the big third period goal. His tying goal against Los Angeles on Jan. 19 in what ended up being a 2-1 victory for the Flames was the sixth time in his career he has scored a third period goal that has either tied the game or put Calgary into the lead. The breakdown of those six is three tying goals, three go-ahead goals. It remains to be determined if the Flames can find their way into the playoffs this season, but the post-season is coming and it's coming soon. When spring hockey does return to Calgary, it's going to be players like Monahan that are going to be key. Not key for me -- there will always be better go-to guys for quotes -- Sam Bennett for one when he gets here, you can tell already he's cut out of a different fabric than Monahan when it comes to that side of things. But key for this hockey club are guys with the inane ability like Monahan to consistently perform under pressure and deliver a clutch goal when it's needed. It's a critical ingredient of any successful hockey team and those guys are not easy to find. Given the reputation Monahan is forging for himself already, just imagine the following and reputation he'll have around Calgary and around the league when OT goals in the opening minute of a game in January morph into OT goals in the second overtime period of a game in May. Bring on the Red Mile and fans in Monahan jerseys celebrating everywhere. So get ready to move over Patrick Kane, Jonathan Toews and Justin Williams to make room for No. 23 of the Flames. Twenty years old. My goodness. What a bright future for this kid. Early Spring in Calgary: Playoff Hockey Has Already Arrived - While fans debate whether or not Calgary will make the NHL post-season, Joe Colborne says for the Flames, the playoffs have essentially already begun. Bob Hartley, Curtis Glencross, David Jones and Lance Bouma also share thoughts on the difference it makes and fun you have when you're in contention. It's the fourth edition of a recently-introduced content feature -- Eight from 80 Feet. Comprised of a blend of anecdotes, recaps, statistics, analysis and maybe an opinion or prediction mixed in as well, it's a round-up of eight random thoughts on the current goings-on with the Calgary Flames. Last May I wrote a piece that raised some eyebrows. I suggested that if this season, Mikael Backlund could repeat how he played over the final two-thirds of last season, the pending restricted free agent would be in line for a hefty raise that could see him command as much as $5-million in annual salary in the latter year(s) of a long-term deal. I won't repeat here what I feel is a well-constructed case because you can go and read that entire article. But in summary, six factors I considered were his age, inflation, leadership, ice time, skill set, and the Flames overall salary structure. Backlund has played three games since returning from his abdominal injury, which sidelined him for 29 games, and all he's done is scored in all three games, racked up two assists for a total of five points, piled up 11 shots on goal and gone a plus-3, Also, he's gotten right back to what is one of his niche strengths and that is being the guy in possession of the puck, more often than not, whenever he's on the ice. His goals have all been clutch too. One broke a 2-2 tie with Florida and temporarily gave Calgary the lead. Another drew the Flames within one of Detroit early in the third period, setting up a near-comeback if not for some bad luck. On Saturday, he scored the only goal in a 1-0 win in Vancouver. Because Backlund, who turns 26 in March, has been gone for so long and with his 11 games at the start of the year an inaccurate portrayal of who he is given he was playing hurt, it seemed like we almost forgot how high a caliber of player the 2007 first round pick had finally developed into last season. Bob Hartley shared his thoughts after he made his return against Detroit. "Backs is probably one of the most underrated two-way players in this league," said the Flames coach. Backlund opened up his first game back between David Jones and Mason Raymond. In game two, he spent most of the night with Joe Colborne and Lance Bouma. Against the Canucks, he was flanked by Jones and Johnny Gaudreau. Clearly Hartley is searching for the right combination but from what we saw in Vancouver, I would like to see the Backlund-Gaudreau partnership kept together for a few games as they seemed to have some immediate chemistry. There is an adjustment period needed when you turn pro. It's inevitable. Johnny Gaudreau did his adjusting at the NHL level and it took all of two weeks. Remember those five games without a point at the start of the season, which was followed by one game in the press box as a healthy scratch? Since then, Gaudreau has gone 13-19-32 in 37 games. For comparison, let's wind back the clock over a quarter-century and compare those totals to Theoren Fleury, who did his adjusting in the minors with Salt Lake, Calgary's affiliate at the time. After a half-season down there, Fleury was recalled to the NHL for the remainder of the 1988-89 season and had very similar NHL totals going 14-20-34 in 36 games. While their respective stat lines are similar, their situations were not. The 1988-89 Flames, who won the Stanley Cup, scored 354 goals in what was then an 80-game season. This year's team is on pace to score 223 times in the same number of games -- that's 131 fewer goals. While the 1988-89 team could rely on the likes of Joe Mullen, Hakan Loob, Joe Nieuwendyk, Gary Roberts and Doug Gilmour to pace the offence, this year's team has been highly dependent on two guys so far to pace the offence up-front -- Gaudreau and Jiri Hudler -- his personal pizza delivery man. In respect to Gaudreau's skill set, I've often described him as being the most compelling player in terms of raw skill and creativity that Flames fans have had to watch since maybe Fleury. Maybe. Point being it's been a long, long time so soak it up and enjoy. To be a true threat to make the playoffs in the NHL's current playoff format and to remain in the hunt this year, the Flames need to play well against teams in the Pacific Division. San Jose, Los Angeles and Vancouver in particular, those are the proverbial four-point games. Beat them in regulation and you pick up two valuable points while they get none. Lose and they get two points and you get none. Going into NHL action on Tuesday night, Jiri Hudler is second in the NHL in points against divisional opponents with 21 points (7 goals, 14 assists) in 15 games. He only trails Patrick Kane. That's pretty lofty standing. For context, if you extrapolate those totals over 82 games, that's a 38-77-115 season. Heck, those kind of numbers would have won Hudler the league scoring title last year. With difficult road games coming up against divisional foes Arizona, San Jose, Los Angeles and Anaheim, Calgary is going to need this trend from Hudler to continue if they hope to return to the post-season for the first time in six years. It was quite a night for Joni Ortio on Saturday night, earning his first NHL shutout in his first start of the season. Likely not even that game's starter if Jonas Hiller has a decent game the night before, the Swiss goaltender's 'indecent' performance in an ugly 6-5 loss to the Florida Panthers resulted in Hartley opting to go with Ortio instead, in hopes of snapping the club's three-game losing skid. It wasn't exactly a plum assignment either. Calgary hadn't won in Vancouver since December 23, 2011. The Canucks would end up being the better team, peppering Ortio with 36 shots, but they couldn't solve the 23-year-old Finn and the Flames escaped with a 1-0 victory. In the process, Ortio turned in one of the better goaltender performances in a shutout that Calgary has seen in team history. If you add in the years in Atlanta, Ortio had the 4th-most saves by a rookie in franchise history. Dan Bouchard had 38 and 46-save shutouts in his rookie season in 1972-73. Even league-wide, it was rarefied air for Ortio. In the last four years, only two rookie goaltenders have racked up more saves in a shutout -- and both were earlier this season. Despite the performance, I don't expect Ortio to be around for long. Hartley was keen to get Karri Ramo back in the net last week and was pleased with the way he was playing the night he got hurt. His stint on injured reserve is expected to be short. Meanwhile, Hiller remains entrenched as the team's No. 1 goalie, despite the ugly loss to the Panthers. Hartley is not a fan of having three goalies around and it's pointless, especially right now when the team has so many days off -- are in a stretch of four games in 16 days. However, what Ortio has done has reminded everyone that he's very much a legit candidate to be part of Calgary's goaltending future and while we know that will begin next season in some form as he'll be waiver-eligible and on a one-way contract, perhaps it begins even sooner than that once the team figures out what to do with one of the other two -- Ramo the most likely player to be dealt given he's a pending UFA at season's end. 5. Who is Going to Get the Call? There is no rule that mandates the Flames carry 23 players on their active roster. That simply is the maximum size it can be. But, because they often do carry 23 and right now they're at 22, there is much speculation around who could be the player recalled if Calgary chooses to bring up a prospect from Adirondack. We know Flames GM Brad Treliving likes him. He stated in my get-to-know Drew Shore piece that he isn't concerned with Shore's waiver situation (once he's up, he's up for good as he's no longer waiver exempt after his next NHL game). Shore can play both centre and right wing, which would give the team legitimate options at centre including a chance to spell Markus Granlund for a game or two as they were about to do earlier when they dispatched him to Adirondack before he got a 'stay of demotion' when Josh Jooris ended up on the IR instead. Of the other three, Baertschi is the next best bet given how well he's played lately, given his age/experience compared to Poirier, and that oh-so-familiar motto of 'always earned, never given'. Then again, perhaps Calgary decides to keep three goalies instead for a short time and simply activates Ramo when he's ready. We'll just have to wait and see. Talking to Gaudreau last summer, he spoke very highly of his experience at the World Championships last May when he had 10 points (two goals, eight assists) in eight games for Team USA. In particular, he mentioned Detroit forward Justin Abdelkader and the positive influence he was. Also a college kid having played his NCAA hockey at Michigan State, Abdelkader and Gaudreau played on the same line for much of the tournament. Last week, Abdelkader -- in the midst of a career-season playing on a line with Henrik Zetterberg, was in town with the Red Wings and I took the opportunity to ask him about Gaudreau's rookie season, whether he was surprised or not, and what advice he had for him last spring. "He's a heck of a player," said Abdelkader. "I told Johnny what potential he had. I think that World Championship really helped propel him into this season. He had such a good tournament over there. I knew that he would come in right away and produce." Having played alongside some elite talents over the years in Pavel Datsyuk, Zetterberg, Nicklas Lidstrom and Nikolas Kronwall, he shared some of what he has learned with Gaudreau. "I'm around some of the best players in this game each and every day. I told him you have to work hard every day. you have to work as hard as you can," Abdelkader said. "You have the skill but your work ethic has got to be there. I've watched Pav, Hank, Kronner and Lidstrom and those guys. A lot of people think if you're skilled, you don't have work as hard but these guys are working just as hard as anyone in the locker room. "That's big for young guys to know and to realize that this league is a tough league and you have to constantly work to better yourself." When a NHL team is rebuilding, fans, members of the media sometimes -- myself included, and even folks in a team's front office can all be guilty at times of wanting to hurry along prospects. While some young players may not need much seasoning in the minors and other elite talents won't require any time, the reality is the vast majority will need two or three seasons in the AHL to complete the jump from college or major junior to pro hockey and become NHL-ready. If patience isn't one of your strong suits, you wouldn't enjoy being a fan of the Red Wings, whose modus operandi is to leave their kids in the minors for a long, long time, until they're overripe. Yet it's hard to argue with that model given the success the organization has had. Detroit has made the Stanley Cup playoffs 23 consecutive years despite last year -- when they picked 15th -- being the first time since 1991 that Detroit has had a pick inside the top 18 in the NHL Draft. They draft players, they groom them in the minors for one, two, three, even four years, then they bring them up where they step in and immediately contribute. If you look at the Grand Rapids team that won the AHL Calder Cup in 2013, nine members of that championship team are now in the NHL with Detroit. Last week when Calgary was about to assign Granlund to Adirondack, I looked at his career AHL totals -- 28-23-51 in 60 games, and admittedly part of me was thinking he's been there, done that. Yet then you look at the sustained NHL success that a longtime minor league player like Gustav Nyquist is enjoying now after languishing in the AHL for more than twice-as-many games as Granlund has played, and you realize more time in the minors never hurts. In particular, look at the defencemen (in red) and how long some of them marinated in the AHL -- five were in the minors for over 150 games. Meanwhile in Calgary, fans are impatiently wondering when Tyler Wotherspoon will get promoted and he's only been in the AHL for 85 games. It's a similar situation for Flames 2011 first round pick Sven Baertschi. It feels like he's been in the minors forever, yet he has played less than 100 games in the AHL. Just 22 years old, there is no reason to panic yet. It's okay to wait. It's okay to bring in vets in the summer on short-term deals that allow the Flames the luxury of keeping their kids in the minor leagues to get better, grow their confidence, and be in a better position to step in and immediately contribute when they do get promoted to the NHL. It's okay, but nobody said it's going to be easy. From what you should expect from a third defence pairing, Deryk Engelland and Raphael Diaz had been on a pretty good run. During their 10 games together while Ladislav Smid was on injured reserve, Engelland had been on the ice for a total of only three even-strength goals against. On Friday night against Florida, Smid returned to the line-up and was once again reunited with Engelland. That duo promptly went minus-three and were on the ice for three goals against -- the same quantity Engelland/Diaz had surrendered over the previous 10 games. Revert to Diaz/Engelland again on Saturday in Vancouver and the Flames pitch a shutout. We all know plus-minus has flaws as a statistic but the disparity between those numbers is so big that it would suggest there's more to what's going on in terms of third pairing chemistry than just coincidence. In this feature on Engelland I wrote recently, the former Pittsburgh Penguins defender admitted he felt like he spent the first 20 games of the season in his own zone almost every shift. He talked about the challenge of adjusting to a new team, a new coach and a new defensive system. But lately he says he's been playing way better. Calgary is going to need even more of this 'better' Engelland and whoever he's paired with, if they have any hope of making the post-season. Three months of wear and tear on workhorses Mark Giordano and TJ Brodie has started to look on some nights like it's adding up. If the Flames can get 13-14 serviceable minutes from the third pairing instead of 8-9 minutes each and take a little bit of the onus off the top pairing, that will pay huge dividends down the stretch. Like a lion stalking its prey, Calgary Flames general manager Brad Treliving said he's been closely following Florida prospect Drew Shore for a while and on Thursday he finally got him. In a trade that interestingly enough was announced just prior to the Flames game with the Panthers, the 23-year-old right hand-shooting center, who also plays right wing, was acquired in exchange for minor league centre Corban Knight. "I was in Toronto over the last week and saw him. I specifically tracked this guy real hard the last little bit. We feel we've got a good read on him," said Treliving. Listed at 6-foot-3 and 205 pounds, Shore has spent the entire 2014-15 season with Florida's AHL affiliate in San Antonio, where he's tied for 12th in league scoring with 30 points (9 goals, 21 assists) in 35 games. Shore was drafted in the second round, 44th overall, in the 2009 NHL Draft. While most of his pro career has been spent in the AHL, having played 134 games with the Rampage, it has included significant time in the NHL too with 67 games with the Panthers on his resume. You get the sense he'd probably be flying in chartered planes instead of riding minor league buses right now if not for the fact he becomes eligible for waivers after his next NHL game. "He's got an issue right now. He's got one game until he needs waivers," said Treliving. "A big part of why he's not with (Florida) right now is just that. This player wouldn't have gone through waivers." In other words, the next time he's called up from the AHL, it better be for good or you're probably going to lose him if you try to send him back down. Treliving said he likes Shore's size but the whole package is what attracted him. "We talk about up-front trying to get bigger, but not just getting big shoe sizes, getting players that we think can play. I think this guy has some real upside," said Treliving. "A real smart player, an offensive player in college who has learned now to play both sides of the puck and move. He plays with pace but lots of range." Coming up together in the Panthers organization, Florida rookie centre Vincent Trocheck is very familiar with Shore. They played together in San Antonio, in Florida and also last spring when both were part of Team USA (along with Johnny Gaudreau) at the IIHF World Championships. "Great player," said Trocheck. "Two-way centre with a lot of skill and he's got great vision and a great IQ for the game. He'll get you points on the power play, blocked shots on the penalty kill. He's definitely the kind of guy that you'd want on your team." In 2009-10, Flames forward Joe Colborne was a teammate of Shore at tbe University of Denver. Colborne's second (and last) year and Shore's first year was their only year together. "He's one of my best buddies from Denver so I'm extremely excited that he's now a part of the organization," said Colborne. "He's going to be a good player for a long time." Colborne says Shore can contribute in many ways. "He's got a real good shot. He's like a dual threat though. He can also make plays. We played together on the power play in Denver and had some good chemistry. He's pretty good on face-offs, pretty big size down the middle. He's going to be an asset, for sure." While there sounds like a lot to like about Shore's game on the ice, he sounds like a quality person off the ice as well and that's a pretty important ingredient for the Flames, who have a tight group in the dressing room. "Awesome kid," said Colborne. "Doesn't surprise me with this management, they do their homework and they asked certain guys -- I can't say who may or may not have been asked about him, but he's another character guy and that's the type of people we want to bring into this organization." Ya, about that. Colborne was one of 'those guys'. His poker face is terrible. He was pretty much grinning the entire time he was talking about Shore. "As a person, Drew's one of my favourite guys to play with. Just a great locker room guy," said Trocheck. "Everybody loved him. Nobody disliked him on the team. He's a great guy, nice to everybody. If the guys on the team are doing something -- going to grab a bite to eat or going golfing, he's always right there. He loves being with the guys. One of the better guys that I've played with." While sad to see him go, Trocheck said he's excited to see Shore get a chance with a new organization. "He's a great kid and he deserves well and at this point, he was kind of hoping for this so I am happy for him," said Trocheck. "I sent him a text earlier today when I heard about the deal and congratulated him and wished him well in his new opportunity." When it comes to being traded, Colborne is already a wily vet having been dealt twice already since being chosen by the Boston Bruins 16th overall in 2008. He says he'll reach out to Shore on Saturday morning. "He's going to be going through a whirlwind. I've been through it before. I'm going to be on the phone to him on the way over to the rink and just see if I can help him out with anything," said Colborne, "Your whole life gets thrown into turmoil and you have to pretty much pick up everything and get out here as soon as possible." While Treliving wouldn't say how quickly Shore would be recalled by Calgary, you sure get the sense that it might be soon. "I'll talk to Bob (Hartley) on the plane tonight and the next couple days we'll figure out what the time line is," said Treliving. "He could be coming right away. He might be a guy that's there in Adirondack for a period of time, we don't know. For us, it's adding an asset that we think has real upside." Conveniently enough, the Flames could open up a spot in the line-up at centre very easily. It was on Thursday afternoon that Calgary demoted centre Markus Granlund to Adirondack, only to immediately recall him -- before he could even check out of his hotel, when rookie centre Josh Jooris (upper body) was placed on injured reserve Friday morning. Granlund could very well be headed East again -- this time for real, on the heels of a minus-three night against Florida. The worst of the three even-strength goals against the line of Granlund, Paul Byron and Mason Raymond, was the game-winner, which came 45 seconds after a good effort from David Jones and nice finish by Matt Stajan had tied the game 5-5 with less than four minutes to go. "Do we want to see him here? Ya, we do. Is that going to happen tomorrow? No," said Treliving. While Treliving was non-committal about the possible timing of a recall beyond that, he did make it clear that Shore's waiver situation is not something he's concerned with. "I'm not worried about the waivers. We think we've got a good player. We'll figure that part out," said Treliving. "I told him you go down (to Adirondack) and we'll go from there." Who knows, maybe that No. 10 Flames jersey that just became available with Knight's departure will be re-issued in the very near future. With Calgary having lost three games in a row -- and all at home, an infusion of some fresh blood for this upcoming road trip may not be such a bad idea. Rewarded for his Perseverance: The Story of Deryk Engelland's Season and Career - With his $3 million salary, Deryk Engelland is an easy player for fans to criticize. But if you know his story and his long and improbable path to the NHL, he becomes an easy player to root for. TJ Brodie. Deryk Engelland. Mark Giordano. It's certainly a weird sight to see Engelland's name sandwiched in-between that of Brodie and Giordano. The only time Calgary's depth chart on the blue-line looks like that is when you list the names in alphabetical order. But there is one other place where those three names come in that order. That's in the Flames dressing room where Engelland's stall is what separates the stalls belonging to Calgary's prolific top defence pairing. It was here where a few days ago, I sat down with the personable defenceman one-on-one to discuss his pro hockey career so far, the adjustments faced this season in coming to a new team and new conference and in particular, his improved play in recent weeks. Of course, the place to start would be the much criticized contract he signed on July 1 in which the unrestricted free agent signed a three-year/$8.7 million deal with the Flames. "It was my first time ever (being a UFA) so it was a little nerve-wracking going into it," recalls Engelland. "The day of the signing, a couple hours felt like all day." When the 32-year-old player went from an annual salary of $575,000 in 2013-14 to $3,000,000 for this season, it not only raised eyebrows league-wide but also raised the ire of a skeptical Flames fan base. "It still hasn't completely sunk in," says Engelland of his big pay day. "I wasn't expecting that, going off what guys got in the years before. It was a little bit more than I thought but it just shows how much they wanted me and they wanted to make the decision very easy." Last summer saw the NHL introduce a change to the UFA courting process, giving teams permission to contact players and vice versa during the week prior to July 1. Calgary wasted little time in letting Engelland know that they were interested in his services. "I talked to Brian (Burke), Bob (Hartley) and Brad (Treliving) -- all within the first day of being able to talk to them," Engelland says. "To have all three of them call you shows that they have some interest in you and what they had to say to me and what they wanted from me, I thought it was a good fit." Engelland takes a lot of heat for the value of the contract although if you think about it, it's not necessarily fair. He didn't offer the contract, he merely accepted it. Regardless, he knows there will be increased scrutiny on him this year as a result. "Personally, when I have a bad game, it doesn't matter if I'm on this contract or making league minimum like last year, but it definitely puts some pressure on you," says Engelland. "Getting that raise, you want to raise your ability too but my style of game is what got me here and got me that contract so I've got to stick to that and just go out and try to keep pucks out of our net." While his annual salary suddenly shot up 500 percent, he's still the same player with the Flames this fall as he was playing for Pittsburgh last spring. "It never hurts to get a point here or there but that's not what I'm here for, that's not what they brought me in for, we have four guys that are doing a pretty good job of that," says Engelland, who is 6-foot-2 and 215 pounds. "My role is to bring that physical presence and toughness. We have a young, small team so just give them a little more room and confidence out there that nobody is going to take liberties on them." When you've been in the same organization as long as Engelland had been -- seven years with the Penguins, there is going to be an adjustment period when you move on. It's unavoidable. There's adapting to a new coach, a new defensive system and there's also the switch in conference from the East to the West. "From day one, it's been a lot different. Probably the biggest change for me personally is the way we play rushes," says Engelland. "We have a lot of pressure from our forwards coming back. As defencemen, we back in and let them do the work. In Pittsburgh, we were playing the rush early and trying to create turnovers at the blueline." He says it has taken some time to adjust but now he's feeling way more confident and at ease in Hartley's system. "For me -- midway through the season now, I'm not thinking about what I'm supposed to be doing, it's just reaction. It's taken a little bit of time but I'm feeling more comfortable with it." Asked if he's playing his best hockey of the season right now, Engelland responds without hesitation. "For sure, 100 percent," he says. "I felt like for the first 20 games, I played in the defensive zone the whole game, every game. Now, we're spending a little more time in their zone and less in ours and that's exactly what you want. To wear teams down by playing in their end and if Raffi (Diaz) and I can continue to do that, that's a good game for us." Conventional statistics would back up Engelland too. In the last 10 games, he's only been on the ice for two even-strength goals against and both of those could be excusable given the circumstances. For the first one, I did not have to remind him of when it was nor did I have to inform him that at the time of our conversation, it had been the only even-strength goal-against him in the last few weeks. He was well aware and he knew precisely what play it came on. It was on the first shot of the game by the Kings in the last game before Christmas -- a soft wrister from Trevor Lewis from the sideboards, viewed universally by anyone not in the Flames dressing room as an awful goal by Hiller, who simply didn't look ready and missed it with his trapper. "Oh, I know exactly the goal that we were on for. It was kind of a lucky goal, I guess, a shot from a ways out that just dropped a foot on Hillsy. You take that out of there and it's been a pretty good stretch." The only other recent even-strength goal against came in the last game against the New York Islanders. While John Tavares getting around Engelland before scoring on Hiller is what you saw on the replay, there's more to it. The back story is Diaz had iced the puck with just over seven minutes left in a game that was 1-0 at the time for New York. At that point, three Flames had been on the ice for a minute already with Engelland at 1:47 the most weary. Meanwhile, Tavares was just 16 seconds into his shift. As the story goes, Hartley chose not to call his timeout, the exhausted Flames ended up under pressure once again when Matt Stajan lost the face-off and 21 seconds later, it was 2-0 for the Islanders as a bagged Engelland staggered his way slowly to the bench. Other than those two goals -- and two other goals against that came while on the penalty kill in that game in LA, Engelland has put up a zero for goals against in any type of situation in eight of the last 10 games. "It's still the game of hockey, it's nothing complicated but there's always adjustments to be made," says Hartley about Engelland's season so far. "Plus, at the same time, you have to feel it. It's not only the X's and O's part, it's also the group and where do you fit in that group and I think Engy right now is giving us some good minutes. He feels good. He has a nice role and I think he's playing great for us." "Obviously, zero goals against in all situations. Physical when I can be, without getting caught or out of position. Block shots when I can and just a good first pass, get it up to our forwards so they can go to work. If I can get through a game doing all that, it's a good game." During the last 10 games, Engelland's plus-3 is tied with Johnny Gaudreau for second-best on the team behind Jiri Hudler's plus-7. For a third pairing defenceman, if you're expecting better than that, you're probably expecting too much. Engelland says it's no coincidence that his increased ice time over this period has correlated to his improved play. Where with Hartley, improved play leads to players getting more ice time. For Engelland, more ice time leads to improved play. It's the classic 'chicken and the egg' scenario. "Playing 14 or 15 minutes or even more is easier than playing nine or 10, you just stay in the game, you're more focused and you're just rolling," says Engelland. "When you're going every third or fourth shift, you're not thinking about it, you're just making plays. You stay fresh and I find it a lot easier to stay sharp." Asked if Engelland has been playing his best hockey, Hartley answers with an emphatic "yes" while adding there's more to his value to the team than meets the eye. "He's also a great leader, who is growing in our organization and he feels good about it," says Hartley. "Very simple guy, very easy-going guy. Works hard everywhere -- in the gym, on the ice in practice, in games. He's a great part of our team because he's a guy that we can count on. He's no maintenance. Whenever you sit with him, you sit with a pro. He wants his game to be at the top." Engelland's journey to the NHL was a long and winding one made up a lot of bus rides. Born in Edmonton and having played four years of junior hockey with Moose Jaw in the Western Hockey League, Engelland was drafted by New Jersey in the sixth round of the 2000 NHL Draft. However, he did not sign with the Devils. New Jersey offered him a contract two years later -- just prior to the deadline for when they had to do so or lose him to free agency and Engelland's agent rejected it. "Don't know if that worked out great though," Engelland admits, while noting that he has a different agent now. "At the time, my agent said he didn't think it was the right deal. Obviously, playing in the minors for seven years, you wonder if maybe you should have taken it, but it's all worked out by not taking it. 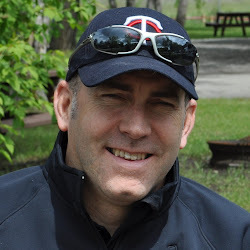 I met my wife, signed with Calgary so some good things have happened." The first four years Engelland kicked around the minor leagues, much of his time was spent in the ECHL where he suited up for the South Carolina Stingrays, Reading Royals and the Las Vegas Wranglers -- which is when he met his wife Melissa. Hoping that an opportunity might come up to maybe in Europe, his NHL aspirations got a glimmer of hope when he eventually made it back to the AHL with the Hershey Bears in 2005. It was in Hershey's trip to the Calder Cup final in 2007 that his play caught the attention of the Pittsburgh organization, who signed him the following summer to a contract. Engelland played close to three more full seasons in the AHL with the Wilkes-Barre/Scranton Penguins but it was a three-week, nine-game call-up in November 2009 that changed everything. "That first call-up was a big eye-opener," says Engelland, who thanks to a Brooks Orpik injury early in the game, ended up logging 19:20 in ice time in his NHL debut in Boston. "I played some big games, there were a lot of injuries at the time so I was playing against some top guys and it gave me a lot of confidence. After that, you know you can play there. So that summer, it was OK, if you're going to get to the NHL, this is going to be the year." Engelland says he will be forever grateful for the support during that time of his wife Melissa, who worked two or three jobs at a time so he could spend his off-season focused on conditioning and pursuing his dream of playing full-time in the NHL. "I wouldn't be here without her," he says, with a smile. "Obviously in the AHL, I wasn't making much money back then. So, she worked all summer just to pay for my personal trainer and it ended up working out." While the Engellands still call Las Vegas home in the off-season, Deryk says he's happy to be spending the winter in the same province he was born. He's also got a new No. 1 fan. The Engellands have a two-and-a-half-year-old son named Cash, who before you ask, is not named that because of their ties to Sin City. "He's named after Johnny Cash, to make that clear," Engelland says with a grin. "We're both big fans of Johnny Cash. Years before we even thought about having a kid, we had that name picked out." It's a bit early to know if Cash will be a hockey player like his Dad but Engelland says he is starting to watch the games more intently. "We've had him out skating twice and he's not too fond of that quite yet but maybe soon," says Engelland. "But he likes coming to the games and he'll watch on TV now so it's interesting him a little bit more." If Cash has a shred of his Dad's perseverance, I would bet on him spending a lot of time at rinks in the years ahead. Another year is in the books and it was one of the better ones recently for the Calgary Flames, who amassed a 42-35-4 record for 88 points in the 81 games they played in 2014. Here, in no particular order, are my 10 favourite stories that I wrote for the blog in particular, during 2014. This is a mixture of stories I enjoyed writing and stories you enjoyed reading with most falling into both categories. Most of these stories remain relevant today, or at least are interesting historic footnotes as we look back on them now. If you missed any of them, now's your chance to catch up on your reading and why not, it's way too cold outside to do much of anything else. So put the coffee pot on, or make yourself a mug of hot chocolate if that's more your thing, curl up on the couch with a blanket and your tablet and catch up on what you may have missed. Thank you so much for reading and for either following along (and putting up with my drivel) on Twitter (@DarrenWHaynes) or on Facebook (www.facebook.com/Flamesfrom80Feet). Here's to another year of compelling Calgary Flames hockey in 2015. Just prior to the Olympic break, I sat down one-on-one with Sean Monahan to get his take on his first NHL season and hear not just about life on the ice but more so, how things are going off the ice. e.g. Strange fan requests, his billet situation, what's it's like to be recognized everywhere you go. On the opening night of the Young Stars rookie tournament, unheralded Josh Jooris stood out, scoring two goals and an assist. He talked afterwards about playing with prospects six younger than him and how time was running out and he had to make the most of his chance this season. The 20-year journey to the NHL for Derek Wills hasn't been easy. He's been rejected, left on the curb by Claude Julien, and in the early days -- with his Dad and Grandma paying his costs, he resorted to buying his own air time and creating his own play-by-play job. Meet Peter Maher's successor. These are exciting times in Calgary and my message to all those long-suffering hockey fans is enjoy it, damn it. Sam Bennett, Johnny Gaudreau and Sean Monahan make up the most exciting young forward trio the Flames have had in over 25 years so enjoy it! The final two-thirds of the 2013-14 season was Mikael Backlund's breakout year. He was Calgary's No. 1 centre, averaged over 20 minutes per night in ice time and he scored at a 25-goal pace. For those credentials, I explain why the soon-to-be 26-year-old RFA was on track to get a $5M contract. He came out of junior hockey with such acclaim. Yet after so much promise, what has happened to Sven Baertschi? I take a detailed look at seven things that have gone wrong for Sven over the past couple years that has resulted in him tumbling down the depth chart of Flames prospects. Calgary's season has been a lot of things but boring hasn't been one of them. A hot start was followed by a cold middle with what's to come next very much a mystery. Remember that in 2004, the Flames nearly missed the playoffs yet went to game seven of the Stanley Cup final. So you just never know. Selecting a goaltender with pick No. 34 at the 2014 NHL Draft infuriated a lot of Flames fans. Why take a goalie so early? Well, I've done the homework and I will explain to you why it was the smart choice for Calgary at that point in the draft -- regardless of whether or not that pick pans out. Alberta, Button, CBA, Drury, Erixon, Fletcher... it's my A-to-Z look at the Flames not-so-successful but still colourful draft history with some current stuff mixed in that will have you laughing, and sometimes crying. You're guaranteed to learn all sorts of interesting things you never knew before. How soon we forget that over the final 34 games of the 2013-14 season -- nearly half the season, Calgary was a playoff team with a better record over that span than both the Blackhawks and Kings. Here are 12 things that need to (mostly) happen to repeat that and make the playoffs in 2014-15.